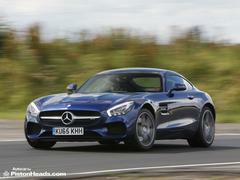 Is the 'basic', non-S AMG GT really the best of the bunch? Time to find out! 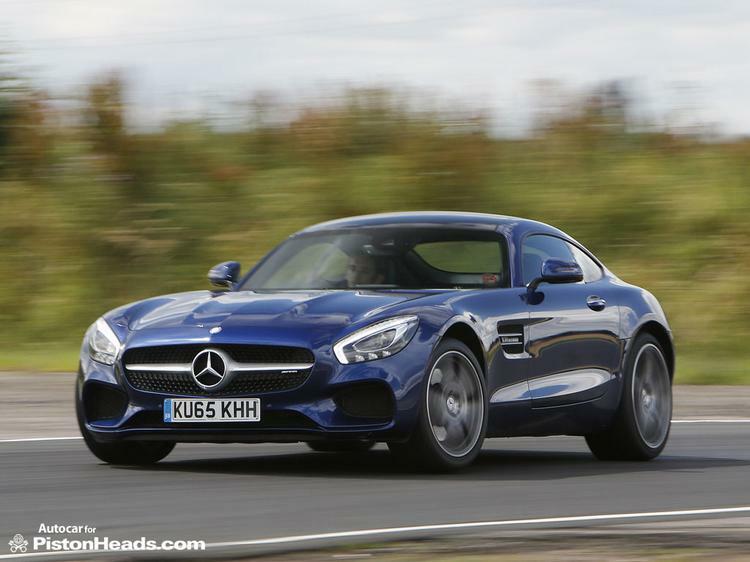 The Mercedes-AMG GT is a very likeable and competent car. But in the arena it operates, 'likeable and competent' aren't really enough. The SLS it was developed from didn't suffer the same problem - it had THAT engine, it had THOSE doors and operated at a much higher level. Sure, it was flawed in some respects. But it had character the GT seems to have sacrificed in the name of playing to a broader audience. Or, to put it another way, steal a few 911 owners and bring them into the AMG fold. Given the increased mid-range of the turbo engine, the greater gadget count AND the polishing of some of those dynamic rough edges, you'd have thought a little more gratitude would have been in order. Especially given how much SLS hardware you're getting for considerably less money. 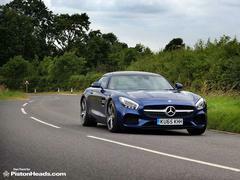 But after driving the S on the launch I couldn't help thinking a GT with a few of those SLS style rough edges remaining would be somehow more AMG. After talking to an engineer who developed the 'base' GT I even wrote a blog about it, proposing the cheaper car might be the better option. This is the moment to put that theory to the test. 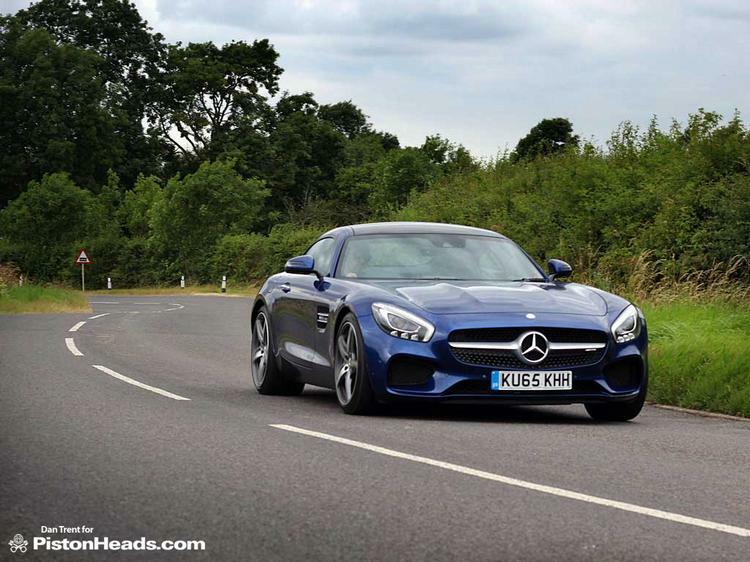 The car you see here is as close to an entry level AMG GT as you could buy. Its £97,200 starting price (compared to £110,510 for the S) has been tipped into six figures with a couple of options but, for a press car, the spec is commendably restrained. It looks fabulous too; way more exotic and dynamic on the move than it does in pictures thanks to its wide, flat stance. 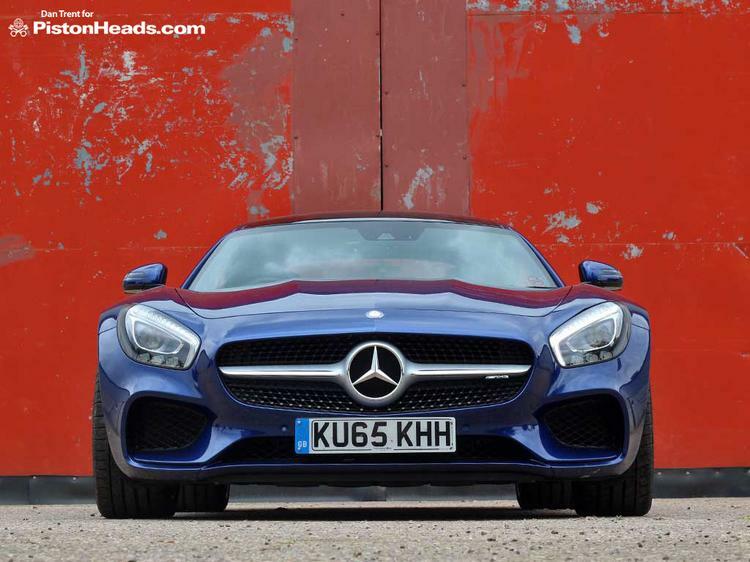 Key changes versus the GT S your Merc dealer will no doubt try to sell you instead? In the brochure you'll clock the power deficit of 462hp and 443lb ft against the S version's 510hp and 480lb ft, this translating to a couple of tenths off the 0-62 and a few mph off the top speed. Fresh from the Jaguar showroom you may be looking again at the 575hp and genuine 200mph the SVR F-Type offers for the same money. Do yourself a favour. Put the brochures down and go for a drive. 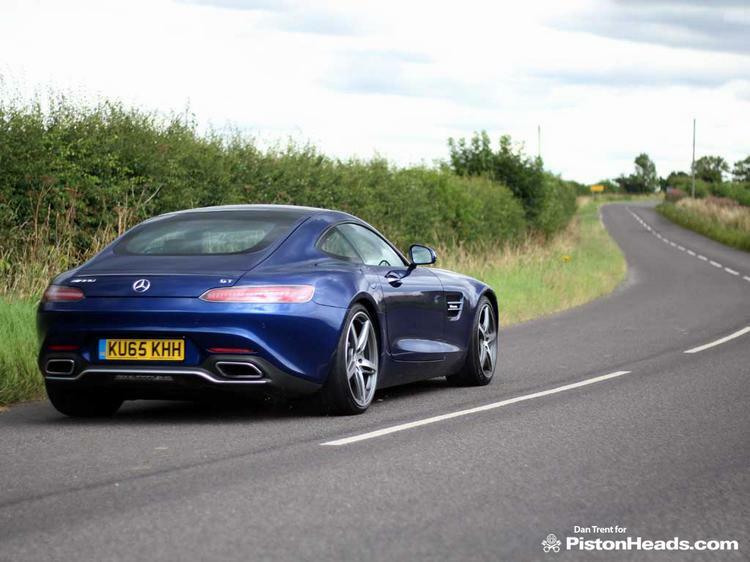 Because at no point does the 'basic' GT feel outgunned. 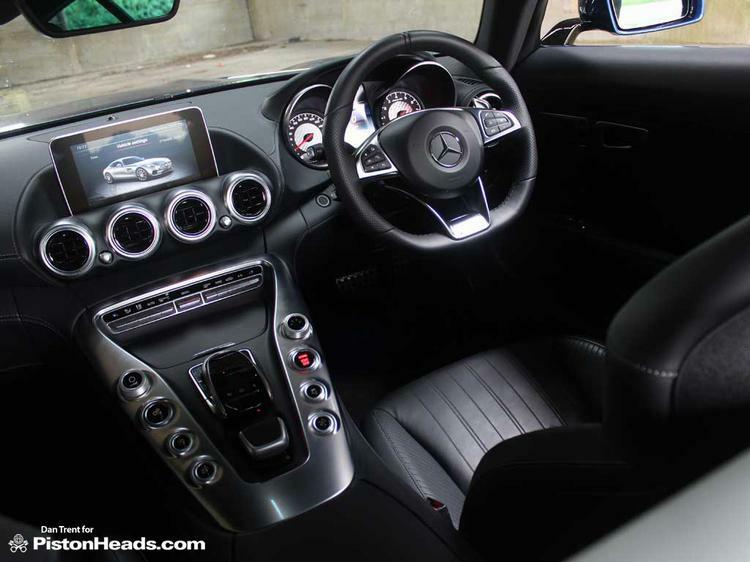 From start-up burp and angry, gargling tickover onwards there is never any sense AMG has deliberately strangled the 4.0-litre V8 - this is a fast, fast car. And a deliciously noisy one. 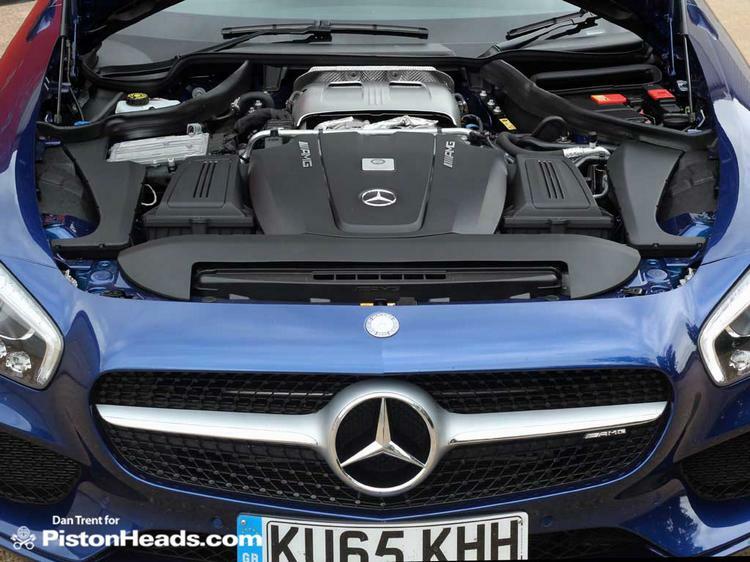 The tech presentation for this M178 V8 was telling in its priorities - before we got to hear any numbers or engineering geekery we were played recordings of a succession of classic AMG V8s to prove turbos were not going to dilute the character. And this engine's opening salvo to the driver is less a polite handshake than a muscular man hug. Low, wide and loud - no missing it! Well, other upgrades include three-stage adaptive dampers and - the big one - an electronically controlled differential that can go from fully open to fully locked depending on what the black boxes tell it. 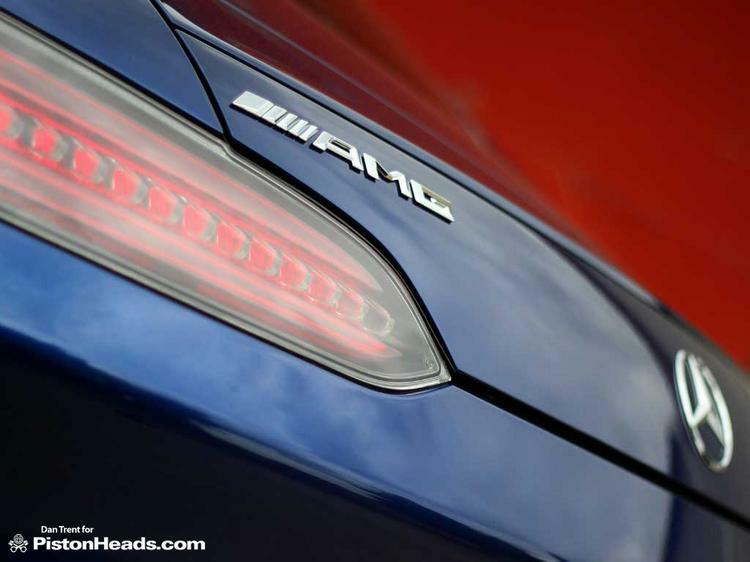 Driving S versions of both the GT and the C63 it's very obvious AMG has embraced this technology to offer a more refined interpretation of its traditional hot rod handling balance. Traction, it seems, is the new sideways. 'Better' by objective measures. But the non-S GT gets a traditional mechanical locking diff and clever Multimatic passive dampers as part of its standard spec. Inspiring this whole idea the base car might just be a little more fun, with perhaps a hint more of SLS. 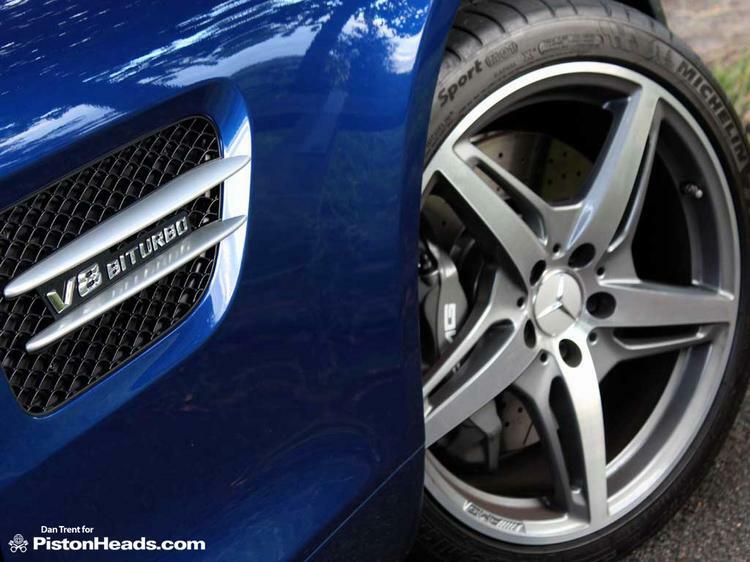 Certainly when AMG used to offer optional limited-slip diffs there was a sense of nudge-nudge, wink-wink to the hooligan end of the customer base. In keeping with that aftermarket spirit there was a sense the ESP and other systems were calibrated without the diff, meaning when it was added you could subtly dictate the direction of travel on the throttle before the nannies had even woken up. Not the case on the GT. 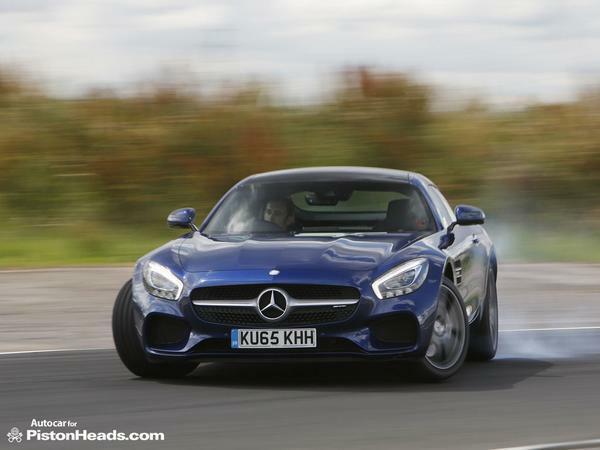 Even with the mechanical diff the set-up is all about traction; a quick diversion via Blyton Park proves you can get on the throttle very early in the corner, exploit the natural balance and only at the extremes get a sense of rotation into oversteer. Which is all very impressive. 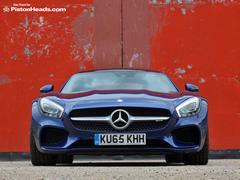 But you can't escape the sense the rough-edged AMG we used to know and love has grown up and got sensible, if faster and more capable. 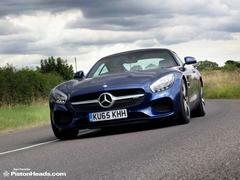 On slower corners it's a little more like the good old days, a stab of throttle able to lock the diff and spin up the rears to unleash a little more of the traditional AMG magic. A pity then the variable rack, over-assisted steering lacks the feel or consistency to lean against, making it hard to balance on the throttle the way you might an Aston Martin Vantage. 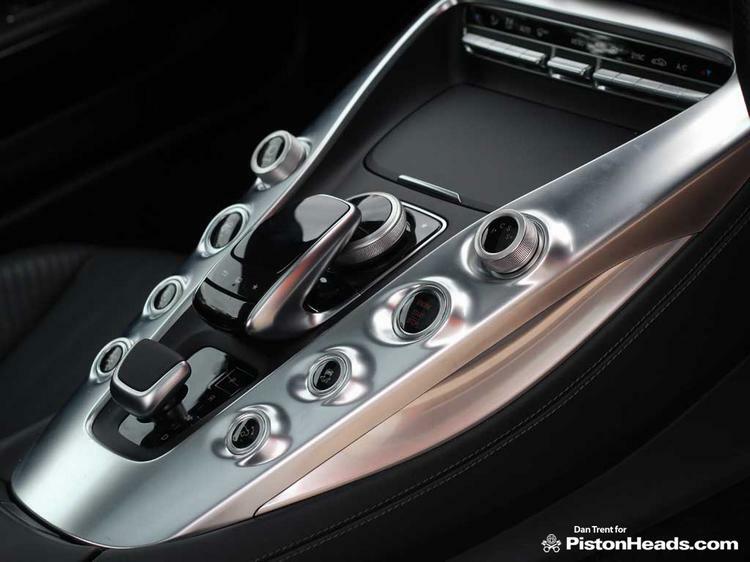 Like the Aston it's got a transaxle layout to keep the weight distributed between the wheels; it also keeps hydraulic steering and uses much of the SLS's front end hardware. 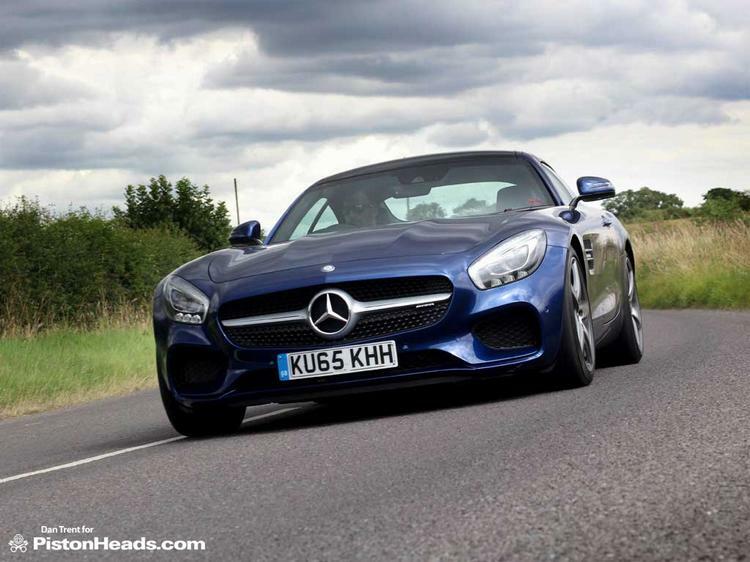 There was real substance to the SLS's steering so it's frustrating that new-school calibration squanders these fundamental advantages; the F-Type SVR may have a less exotic mechanical layout but Jaguar's fixation with steering feel delivers handsomely in the confidence you have in the front end into the corner, and the ability to then play with the angle of attack on the exit. This with an EPAS system too. And what of the passive dampers I'd been so eager to try out? The set-up is not shy, that's for sure. If you want chassis feedback the GT certainly delivers on that, to the extent surface 'noise' from white lines to discarded fag butts thud through the aluminium structure. Low-speed business and high-speed tyre roar are ever present, but then the S with its three-stage damper set-up is hardly S-Class refined either. As the speeds rise it's clear the passive dampers have superb body control, dismissing rapid-fire bumps with consistency on the road and supporting the weight shifts through the corners on the track. They're helped by the GT's favourable weight distribution but there's a fluidity and predictability about the way the car behaves that's really very pleasant indeed. Hand on heart you don't lose any of that with the adaptive set-up. But for the diehards the base car's passive option is a nice thing to have. And one less gadget to distract you from enjoying the GT's broad range of talents. Lesser option? Not a bit of it! In conclusion then a call for the base car to demonstrate there are, after all, some rough edges in the GT might seem a curious desire. And diametrically opposed to the direction taken by the pending 585hp, four-wheel steer GT R. But in an age where technology continues to raise the level at which the true abilities of fast cars can really be enjoyed it's perhaps not as daft as it sounds. This is not the successor to the raw thrills of the SLS and earlier AMGs though - that age would appear to have passed. But if you want a taste of that it could actually be the best GT you can currently buy. Case proven - less can be more! Looks good fun, pity its another farting automatic 'sports car'. Unfortunatley I'll have to disagree. I test drove this engine in the C63 as I was considering the latest shape one of those. The engine felt heavily restrained and despite revving freely seemed to lack punch in anything over 2nd gear. My current 'old' shape C63 with the N/A engine feels a fair bit quicker. The new C class is a heavy car though. Irrespective of whether the basic standard car is better & more so if it's regarded as being 'value for money', a term associated with supermarkets or white goods ALWAYS go for the top of the range otherwise you will be mistaken for a cheap-skate. Replacement for an aging MX5 Dan? Whow, i wonder what my neighbours must think of me then when i park my 106 outside my house!